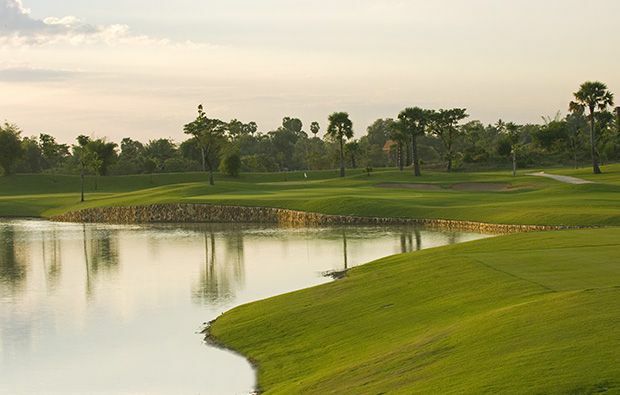 Angkor Golf Resort is not far from the centre of town or the airport and this perfectly manicured course has been designed to ensure excellent playing conditions year round. The course has been designed to be a fair test of everyone’s abilities – difficult enough for better golfers but without the long carries that can destroy the enjoyment of the high handicapper. Like many of Faldo’s course it is and plays long and if you are playing from the back tees your driver will need to be working if you are to get to the green in regulation. As you would expect there are plenty of thoughtfully placed hazards in the shape of blindingly white bunkers and plenty of water hazards. Although Angkor Golf Resort is a relatively young course, many of the shrubs and trees have started to mature which adds to the challenge. The greens are fast and true but Mr Faldo has tried to fool you with some subtle breaks and awkward pin positions. On the front nine the pick of the holes is the very long par-5 3rd which is more than 600 yards long and starts with an intimidating tee shot through a narrow gap lined by trees. The par-4 7th is another monster of a hole measuring nearly 500 yards which is probably best played as a par -5 for all but the very best golfers. 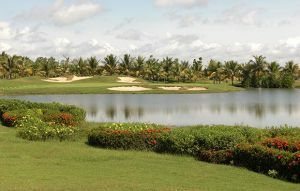 The front nine ends with medium length par-3 with a carry over the natural wetlands to a well-guarded green. The back nine starts with a sharp dog-leg with water all along the left side and crossing in front of the green which requires a careful approach. The 11th offers more of the same with a large water hazard along the left and in front of the green but will tempt the long hitters to ignore it all and go straight for the green. If you arrive to this point with your card intact the final three holes will offer still more challenges. The long par-5 16th requires an approach over water to a green which slopes away from you towards another water hazard. Water again comes into play alongside the long par-3 17th, and you are playing to a narrow green guarded by a large bunker. The finishing hole is a dog-leg to the left with water coming into play most of the way to the green. 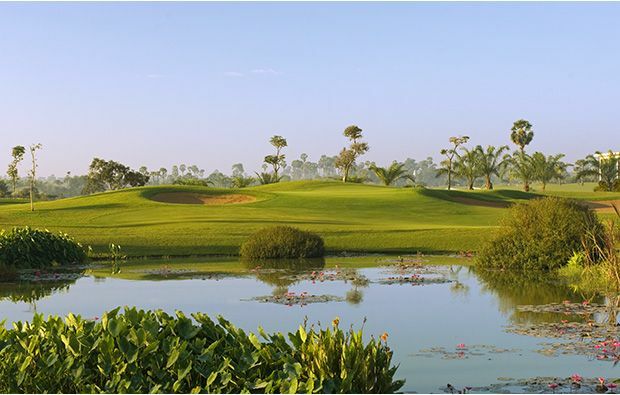 Angkor Golf Resort features a modern clubhouse that has been recently expanded and improved with catering provided by Raffles Hotel and they offer a selection of expertly prepared local and international dishes. 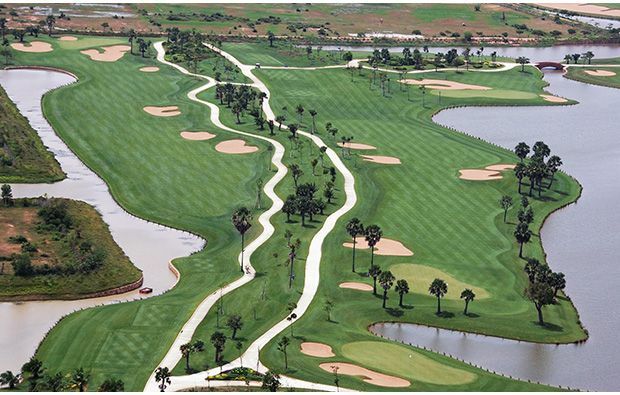 The course is superbly maintained and this has been recognised with the Asian Golf Monthly award for the best course in Cambodia and a nomination for the Top 3 Maintained Courses in Asia. 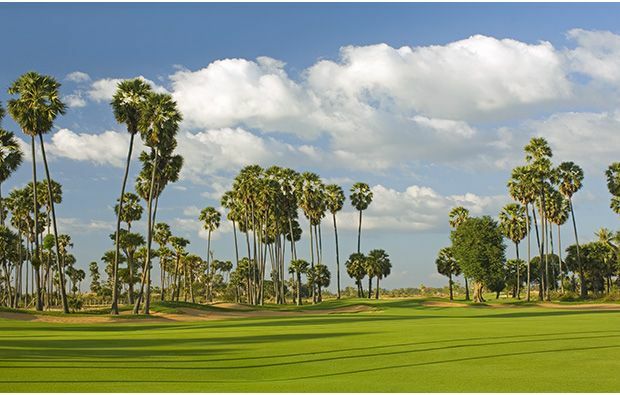 Make sure that you always get the best green fee by using the golfsavers booking engine to book a tee time at Angkor Golf Resort and take all of the hassle out of booking a round of golf. 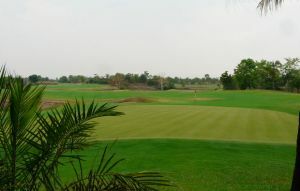 Angkor Golf Resort has different Services to offer. Choose a date and number or players to see the rates.